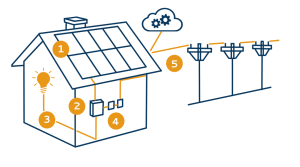 Once generated, the solar DC electricity first needs to be converted to AC (alternating current) and adjusted to 120V before it can be used in US households. This is the role of your solar inverters, which adjust your solar energy into a voltage and current compatible with your house and utility grid. We use “micro-inverters”, which are safer and more efficient than the older “string” type inverters. From the inverter, electricity travels through additional wiring and conduit to a production meter before it is fed to your home. This meter measures all the power your system produces before it is used in your home or fed back into the grid. 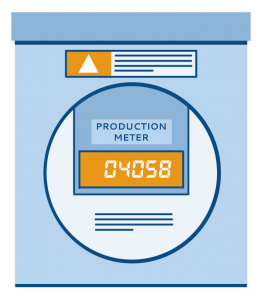 Washington State’s Production Incentive is paid based on the data collected by this meter. From your production meter, electricity then travels to the main service panel, which connects your solar energy with your home. The electricity flows first to any loads running in the house, such as appliances, lights, and WiFi routers. When your energy production exceeds consumption, it then travels on to your solar net meter which sends this excess electricity back to the grid. 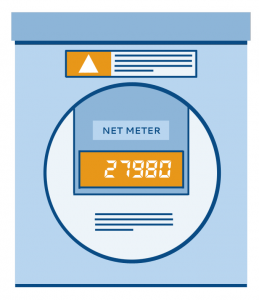 Your solar net meter records the net input and output of energy with your home. At times when your solar panels produce more energy than you are using, this excess is sent back out to your local power grid, thereby spinning your meter backwards. When your panels don’t meet your energy needs, then your meter will spin forward as you pull in additional energy from the grid. WA’s net metering program allows you to build credits towards energy you’ll use when your panels don’t meet your needs in darker winter months. Brimma Solar also offers a monitoring option for your solar system. 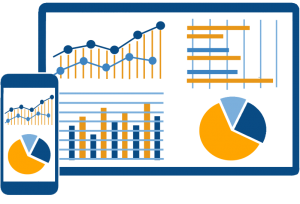 This service collects and displays data in real time, showing you how well your system performs and allowing users to track their overall household energy usage. 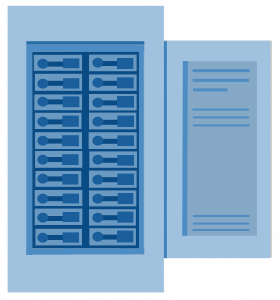 With our system monitoring software, you can easily check your system performance status and history anywhere you have an Internet connection. This service can be a great tool for motivating your office or household to conserve energy and increase mindfulness of daily energy consumption habits. 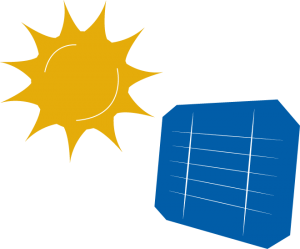 Solar allows you to control your energy costs. While Washington enjoys cheap hydro power for now, energy needs are growing and there is no opportunity to further expand this energy source. Electricity rates are expected to continue increasing in coming years, but with solar you can insulate yourself from rising prices. Depending on the system you choose and your local utility’s incentives, you can significantly reduce your utility costs by investing in solar. It’s never been more affordable to go solar! Washington State boasts some of the most progressive and beneficial solar reward systems in the country and its many incentives and cost-reducing programs make solar an increasingly affordable and viable option for everyone. But these programs won’t last forever- Federal and State programs are currently slated to extend for only 4-5 more years, and several WA local utility incentives have already reached capacity. Give us a call today to get started so you don’t miss out on your full solar discounts! Solar doesn’t just make financial sense- it makes a significant impact on the environment. A solar system produces 100% clean energy, meaning less air pollution, less fossil fuel consumption, and another milestone towards a future of renewable energy. And unlike other renewable sources such as hydroelectric, solar panels have an almost zero disruptive impact on the environment and the ubiquity of sunlight means that it’s a solution that can work effectively almost anywhere on the globe. Fossil fuels still comprise almost 25% of energy used in WA state, contributing to the hundreds of thousands of pounds of greenhouse gases and acid rain produced annually in the US. These man-made toxins are a detriment to human health and create long-term consequences for the environment. Simply put, switching to solar is an investment in a cleaner, healthier future for you, your community, and the world at large. If you want to make a statement about the importance of sustainable energy practices and responsible stewardship of our natural resources, there is no better way than going solar. Solar can be a smart investment for your property. According to this 2011 study by the Lawrence Berkeley National Laboratory, any home improvement that lowers electricity bills by $1000 annually will increase a home’s value by about $20,000. The Federal Investment Tax Credit offered by the Federal government is a tax credit towards solar electric systems, meaning solar purchasers are entitled to claim a tax credit up to 30% of the total cost of their solar system. The Washington State Production Incentive provides each WA state consumer annual incentives from their utilities. You can earn up to $.54/kWh, up to a total of $5,000 per year from a participating utility, based on the power your system produces. However, space is limited and some utilities have already met or will meet their caps soon, so don’t wait to take advantage of these savings! Solar power that isn’t used is fed back to your utility grid so that your excess power can be used by others. When your production exceeds consumption, this builds credits with your utility which can be used toward months with less sunshine, meaning even lower electricity bills for solar owners!